Genuine OEM HP Toner Cartridge, Black, 6,000 page yield. 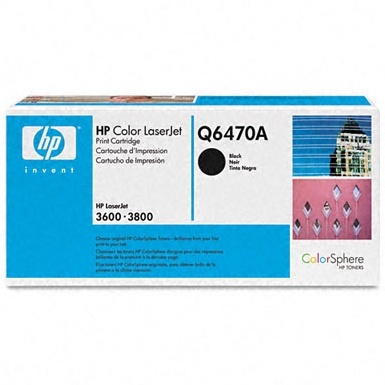 HP part number: Q6470A, 502A Black. Laser Toner Cartridge compatible with HP LaserJet 3600, 3800, CP3505. Many people compare this cartride to the HP 2840 toner cartridge, however they are not interchangeable with each other. Page yeild is similar to a high yield Brother toner cartridge allowing you to print many pages before needing to replace the cartridge.